Throughout history, the Intercontinental championship has been defended by the very best. At SummerSlam, Seth Rollins will face Dolph Ziggler for the WWE Intercontinental championship (IC), cementing its legacy. It is clear that the IC championship has elevated careers. Big named stars such as The Rock, Chris Jericho, and The Miz owe their success to this championship. The SummerSlam pay-per-view has afforded arguably some of the best Intercontinental championship matches in WWE's History. Coincidently the first few SummerSlam events thrived on these matches. This was primarily because the WWE Championship was not defended until SummerSlam 1990. Let's explore these matches further! 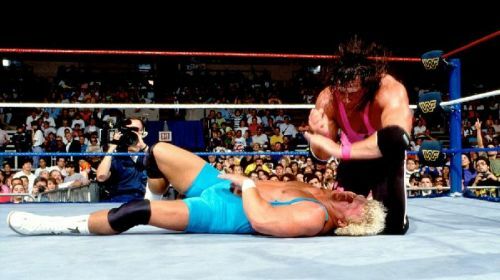 At SummerSlam 1991, Bret Hart and Mr Perfect conducted one of histories greatest matches. Moreover, it sparked the rise of Bret Hart's career outside of tag team wrestling. It further proved that wrestlers of smaller sizes could perform at higher levels. Hart and Perfect exhumed excellent technical wrestling, arguably the best in the business. At SummerSlam 1991, they portrayed an absolute wrestling clinic, parts of which can be seen in the video below. They entertained fans with epic bouts of submission and mat wrestling. Their match set the precedent for future Intercontinental championship matches. This Sunday, Daniel Bryan faces The Miz at the SummerSlam pay-per-view. Coincidentally, they share wrestling similarities with Hart and Perfect, although their rivalries are completely different. 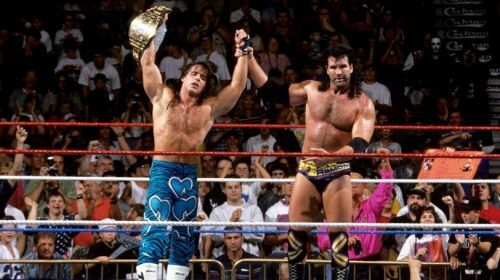 At SummerSlam 1995, Shawn Michaels competed against Razor Ramon in an epic Ladder match. Their first Ladder match had taken place during WrestleMania X. 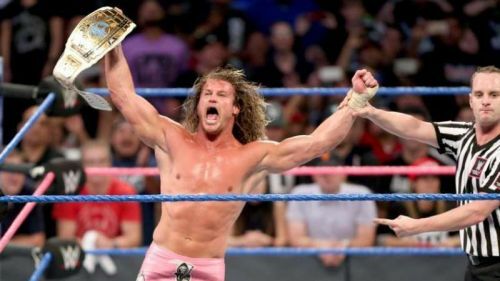 Both Ladder matches helped build the Intercontinental Championship's prestige, showing how much both the stars were willing to sacrifice to get the title. Perhaps The Miz is the only wrestler to have equally elevated the championship. In 1995, the Intercontinental championship was equal to the WWE Championship. The Ladder match at SummerSlam was crucial to its development. Ramon and Michaels took aerial manoeuvres to new heights, never before seen. In the end, Michaels was victorious, as can be seen in the video below.